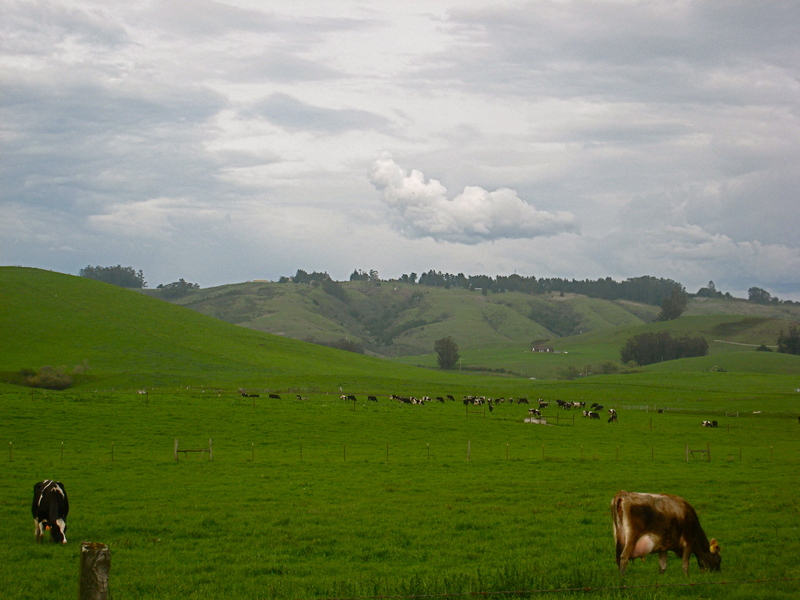 After griping about the weather, what could be nicer on a Saturday than a short road trip through the green and pearly-skied Sonoma County countryside. What could be better? 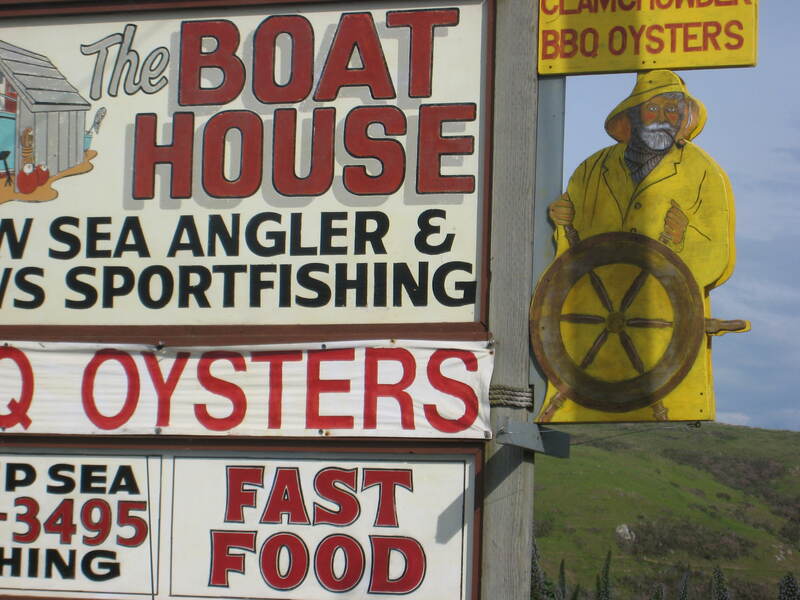 Maybe arriving in Bodega Bay conveniently around lunch time. And knowing that the best fried seafood you’ve had in a long time is (surprise!) right there in Bodega Bay! 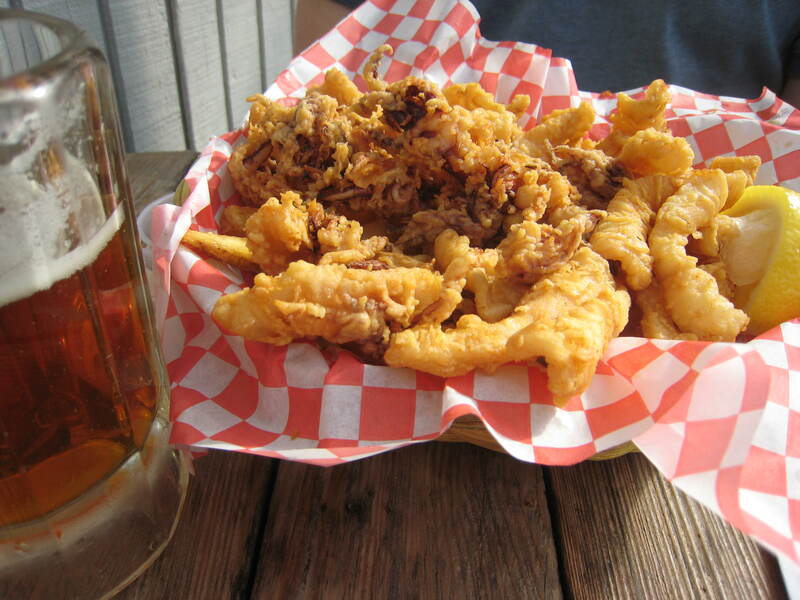 We’ve made the round trip before just for the calamari- it’s really swell. If you drive up Highway 1 through town and look for the shop with the flags and kites on the shore side, pull into the parking lot just past it. The Boat House parking lot is reassuringly lined with piles of oyster shells and management has clearly been spending more money on the ingredients than the decor- it’s wood panelling and formica tables all the way. Order at the counter- everything that I’ve had is fresh and crisp, cooked perfectly, but I especially recommend the calamari, scallops and bbqed oysters. Grab a beer while you’re at the counter. A hoppy Sierra Nevada Celebration Ale compliments very well and find a sunny table. If they don’t bring cocktail sauce with your order, ask for it. It’s homemade and has a good not-too-sweet flavor. It’s probably best not to talk for a while. There are better things to be doing with your mouth and fried seafood waits for no man. 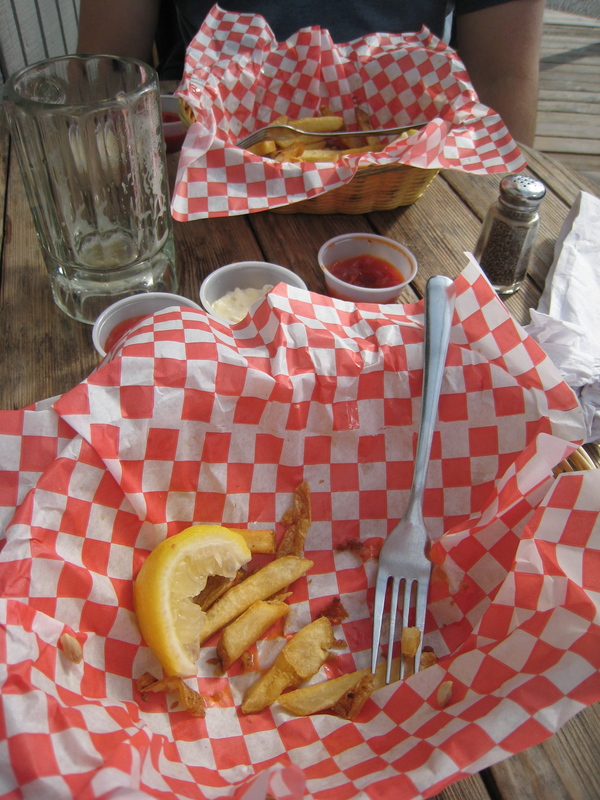 All it takes is a little perserverance and dedication and you’ll end up in the clean plate club. The shop next door with all of the kites sells salt water taffy and retro candy like Pop Rocks and Boston baked beans. 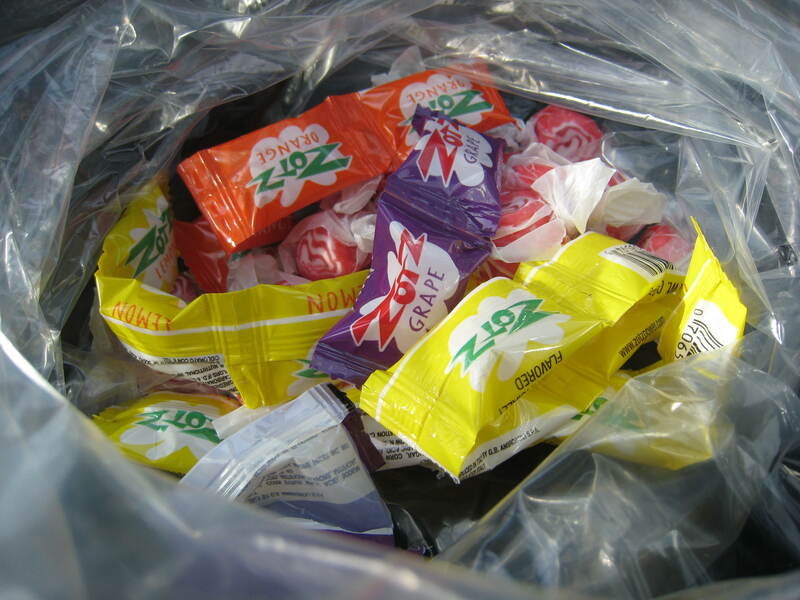 We got Zotz for the road. 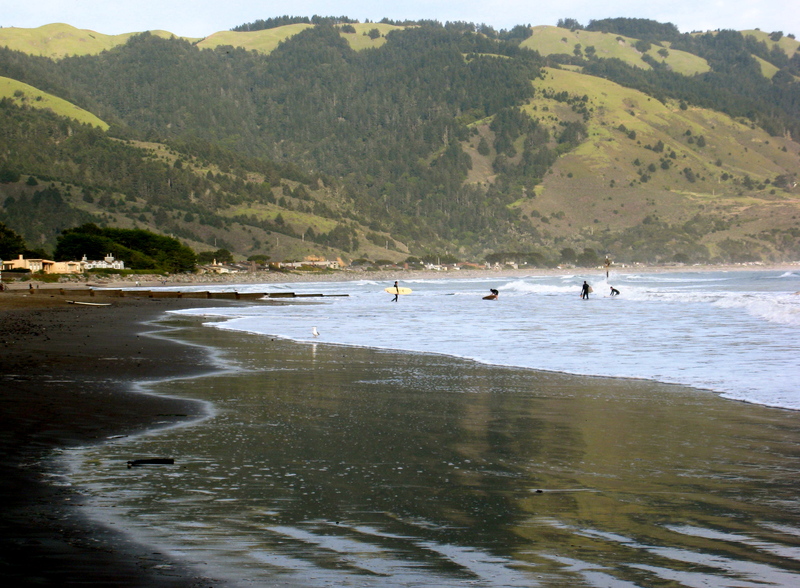 We meandered back down Highway 1 through Valley Ford, Olema, and Point Reyes Station, stopped and watched the surfers in Bolinas for a minute. 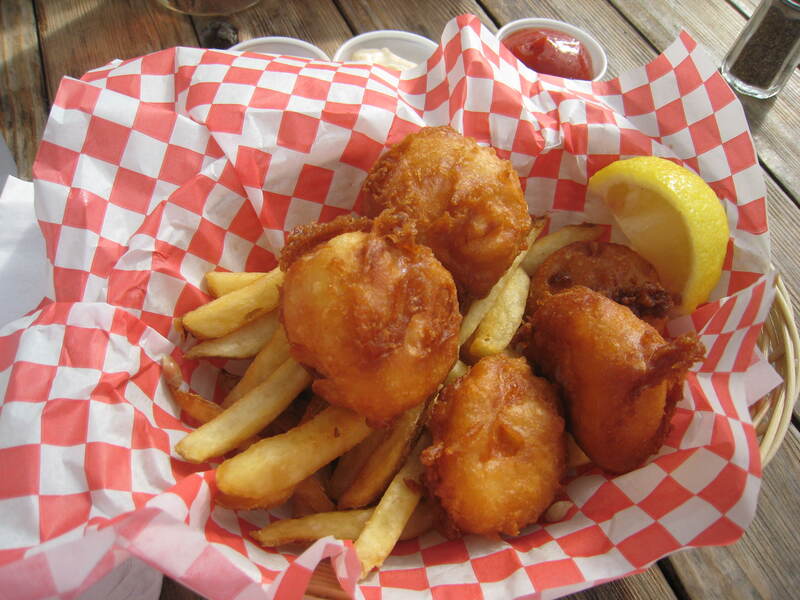 Is there anything like fried food and beautiful scenery to refresh the winter-weary soul?